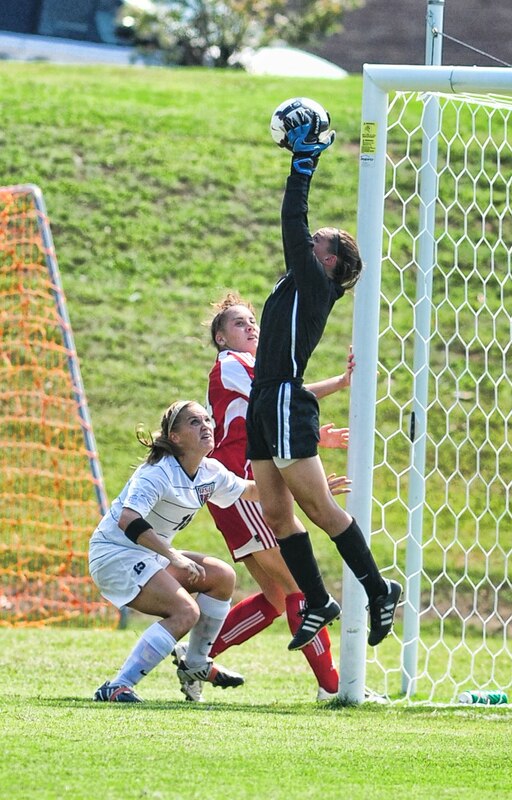 The Roger State women’s soccer team has battled through a month long of stunning victories and disappointing defeats. As conference play winds down, the Hillcats will look to count on the one thing that has proven to pay off which is hard work. RSU started their five game road trip on a down hill dropping a pair of games to Avila University 3-0 and to Ottawa 2-1. The following week the Hillcats snapped their two game losing streak with a turnaround performance taking down Southern Nazarene 4-3 on the road in their Sooner Athletic Conference opener. Four different Hillcats scored on Southern Nazarene. Junior Chelsea Myers scored her third goal of the season with an assist by Junior Abby Rickner to give the Hillcats a 1-0 lead. Five minutes later freshman Demi Mullin added to the scoreboard giving RSU a 2-0 advantage. Rickner earned another assist with a corner kick to junior Morghan Saliba for the 3-0 goal. Senior Tiffany Roberts kept the momentum going in the second half, scoring within 30 seconds of the half to put the Hillcats on top 4-0. In the latter part of the night, the Crimson Storm came roaring back scoring three straight goals on RSU. 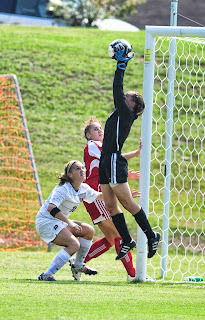 The Hillcats were able to hang onto the win, with freshman goalkeeper Chelsea McMullin earning the win in goal. RSU battled for their second victory on the road topping Wayland Baptist University 1-0. Saliba scored the lone goal of the contest in the 76th minute and McMullin captured the shutout win, making four saves. Larkin knows that when his girls work hard together they are able to bounce back from any defeat. “They saw what was happening after two losses and were able to come out and perform,” said Larkin. RSU winning streak was short lived as after No. 23 nationally ranked Oklahoma City University slipped past the Hillcats 1-0 giving RSU their first SAC conference loss of the season. After a hard fought five-game road trip, the Hillcats ended their home conference opener in a 0-0 draw with Oklahoma Baptist University. McMullin tallied up nine saves in the OBU match up. The women’s offense came alive running away with a 9-0 victory over St. Gregory University. Junior Lauren Hager filled up the stat sheet taking six shots with four on goal and two through the net while making an assist in the game. The Hillcats took another blow falling to John Brown University 3-0. Both teams battled tough not allowing any points for either team in the first half . Yet in the second half the Golden Eagles came out hard taking a total of 16 shots compared to two shots for RSU. Five games remain before the start of the SAC conference tournament. Currently RSU women are ranked No. 6 in the conference. As long as the Hillcats can continue to work hard and come away with wins, their chances of gaining home field advantage for the start of tournament play is still within reach. Update: RSU women fell to USAO 1-0. For more results go to rsuhillcats.com athletic website. Check out the soonerathletic.org website for current conference standings.